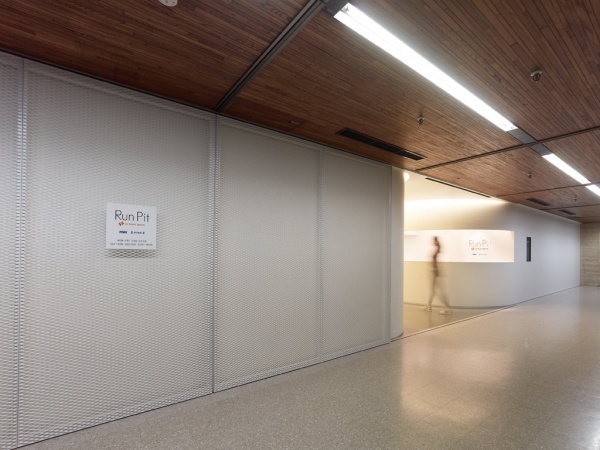 The RunPit flagship store is geared to joggers wishing to integrate exercise to their schedule after work-hours in a convenient and flexible environment. 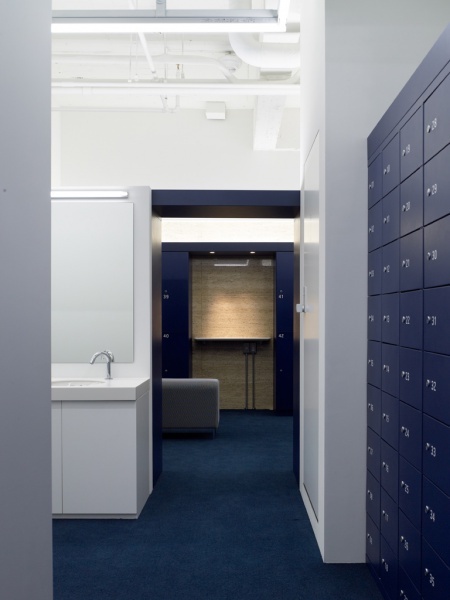 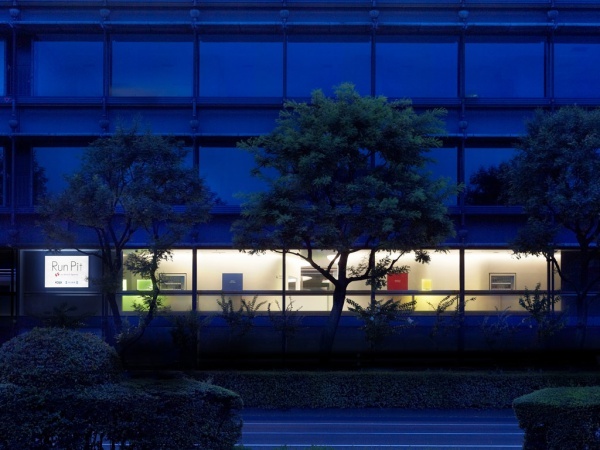 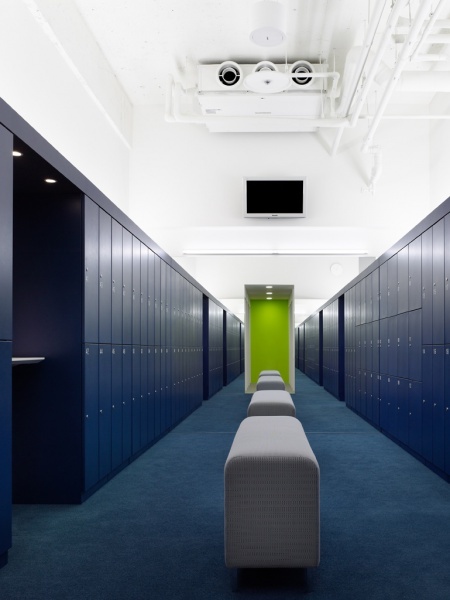 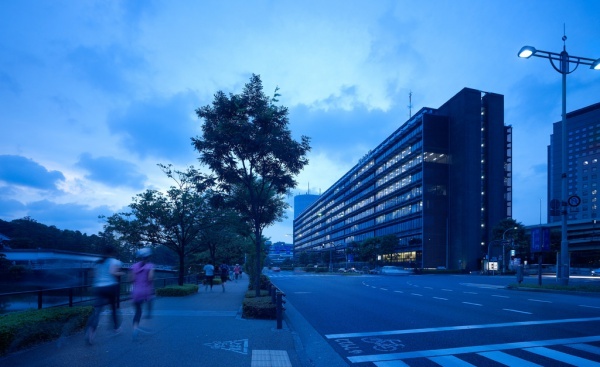 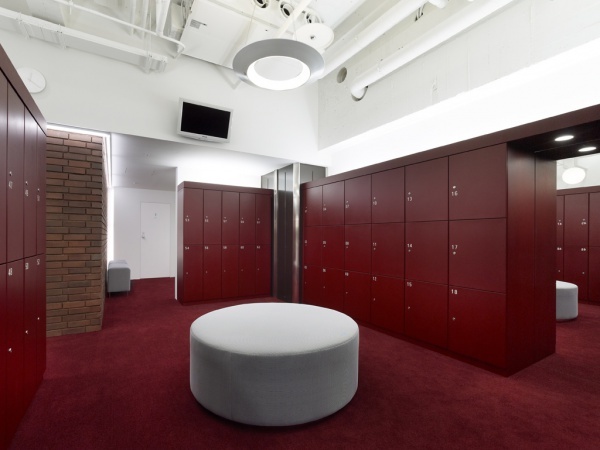 Located in a corner of the Palaceside Building, the facility offers a meeting lounge, a boutique and locker rooms fitted with showers as well as an easy access to a 5-km circuit around the Tokyo Imperial Palace. 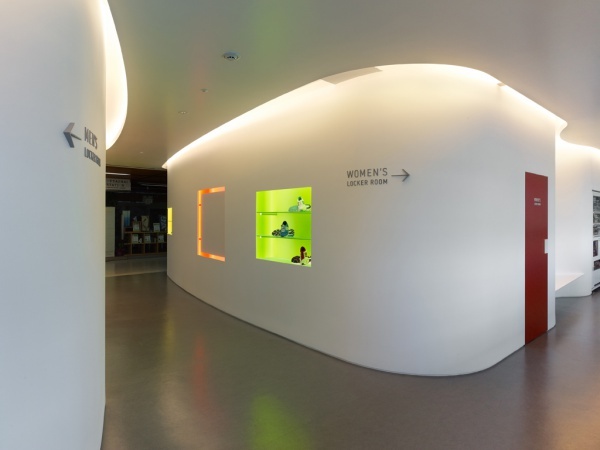 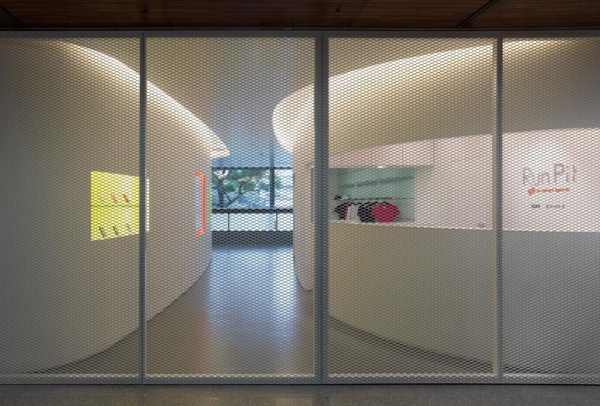 We proposed a tunnel-like space made of sinuous walls imbedded with message boards and various showcases. 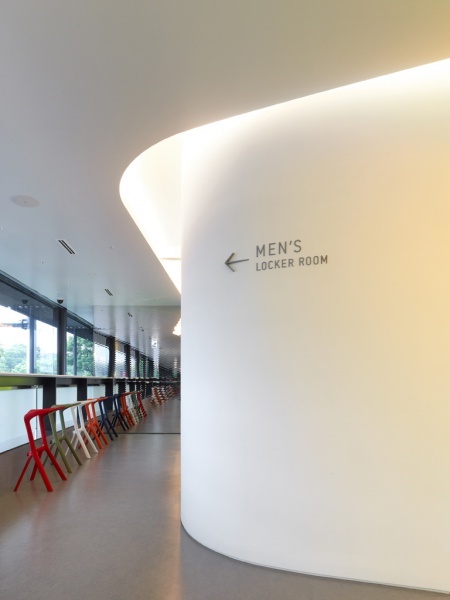 At the junction between the men’s and women’s areas, the tunnel presents a great view on the greening Imperial grounds through a window facing a long counter where runners can rendezvous or simply wind down. 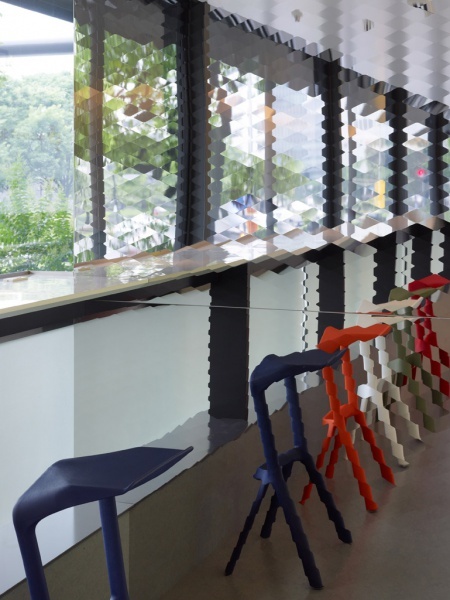 A diamond-shaped pattern appears on the stainless steel mirror walls located at both ends of the corridor, creating a stylish impression of depth. 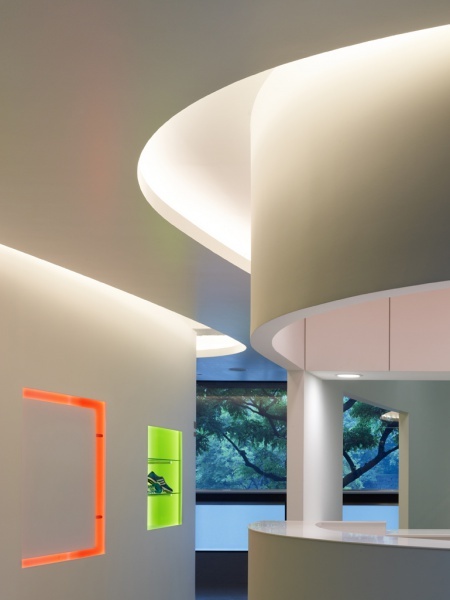 A polished finish was also applied to the counter top and ceiling, letting in more from the scenery and nearby trees. 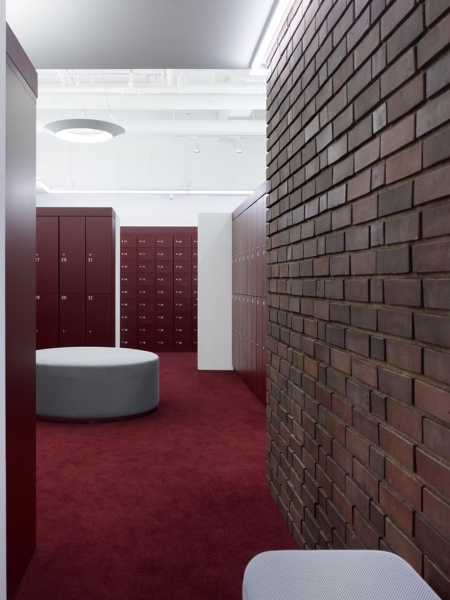 Behind the wavy walls we find the locker rooms, styled in well-appointed masculine and feminine tones, where the spirit of the Palaceside Building peers through the columns dressed in stainless steel and the walls decked with brick or marble. 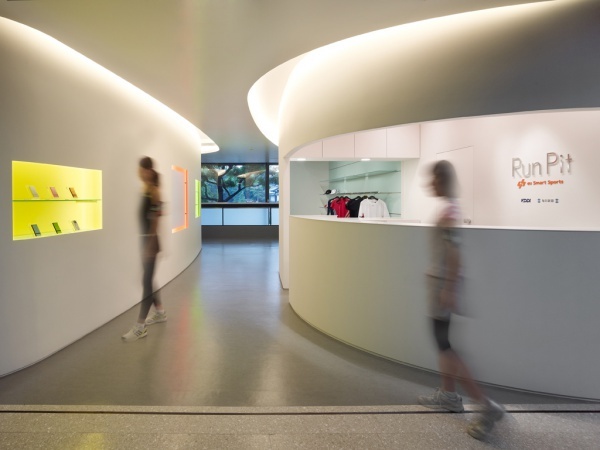 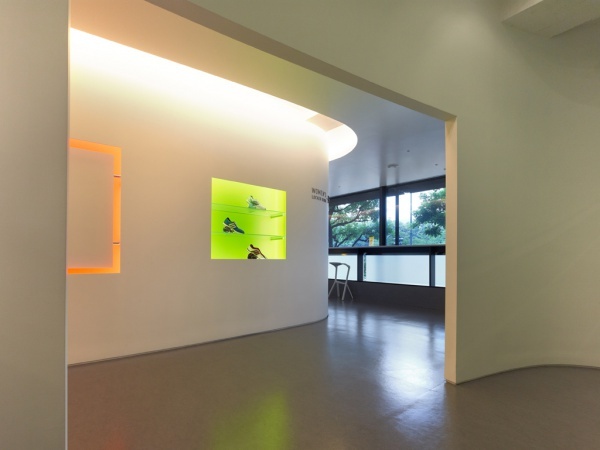 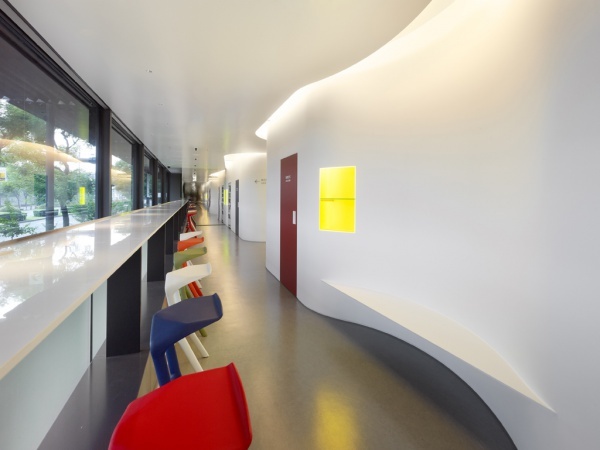 The interior of an office building poses a challenge of structural uniformity we sought to alleviate by linking the inner and outer spaces and allowing the street to be experienced from within the structure as one big running track.